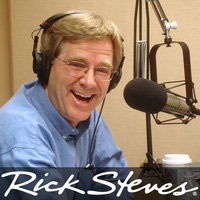 Rick shares notes on visiting Havana with Cuban travel expert Christopher P. Baker, then filmmaker Ken Burns discusses his documentary series celebrating the National Park Service's centennial. And Smithsonian historian Brent D. Glass recommends places to visit that make American history really come alive. Chris also leads motorcycle tours of Cuba for RTW Moto Tours. The Vedado neighborhood is a popular place to find a "casa particular" for a stay in Havana. Information about visiting the Ernest Hemingway House, just east of Havana. Ken Burns' series, "National Parks," aired on PBS. The US National Park Service website includes sections for locating parks and preserves by state and historical sites managed by the Park Service. Brent D. Glass formerly headed the Smithsonian's National Museum of American History, and has now written "50 Great American Places." Brent recommends the Presidio in San Francisco as an example of attractive renovation of a former military reservation in a beautiful natural setting. Cahokia Mounds State Historic Site in west central Illinois explores a significant pre-Columbian civilization in Middle America. The Manhattan Project National Historical Park is operated by the Department of Energy, and pulls together sites at Oak Ridge, Los Alamos, and Hanford. The National Museum of Industrial History opened August 2, 2016 in Bethlehem, Pennsylvania. The desegregation struggle at Central High School in Little Rock is noted at a museum run by the National Park Service.